Let me preface this column by saying in no way am I demeaning this year’s WrestleMania card or “Mr.WrestleMania” Shawn Michaels in anyway. The WrestleMania 27 card this year is second to none. 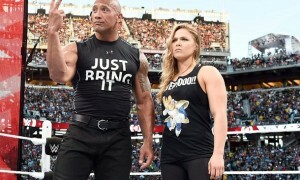 The Rock returning was shocking news in itself but when you add a Stone Cold Steve Austin appearance and Shawn Michaels induction to the WWE Hall of Fame, WrestleMania this year is already a winner. Not to mention the Triple H vs. Undertaker showdown should blow the doors off. Is there something missing this year? Probably not but wouldn’t a little dose of “Hulkamania” seem apropos considering all of the nostalgia surrounding Mania this year? Of course we know that Hulk Hogan is with TNA Wrestling now and an appearance for the WWE is out of the question but I think we all know the WWE is home to Hulk Hogan. While watching the True Story of WrestleMania DVD I began to think about the title Mr.WrestleMania. 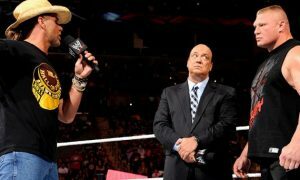 Shawn Michaels has been dubbed with the nickname by the WWE but what about the WWE Universe? I am not totally convinced if it came down to a vote HBK would get the title. I am convinced Hulk Hogan would. Shawn Michaels had some spectacular matches at WrestleMania but can your average fan name more than the ladder match at WrestleMania X and the Iron Man match at WrestleMania XII? I know for sure casual fans can remember Hogan vs. Piper at WrestleMania, Hogan vs. Andre at WrestleMania III, Hogan vs. Warrior at WrestleMania VI, and probably Hogan vs. The Rock at WrestleMania XVIII. 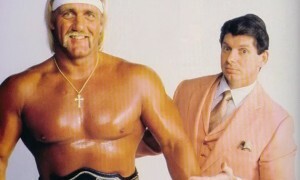 Without Hulk Hogan the first WrestleMania would never happen. Debating who invented Hulkamania can wait for another day. This argument for the moniker of “Mr. WrestleMania” isn’t solely between Shawn Michaels and Hulk Hogan. The Undertaker for example could easily be considered for the honor. The WrestleMania streak though may be more suitable for The Undertaker to cement his legacy considering more than a few of his WrestleMania matches were not too memorable. After Hulk left for WCW WrestleMania missed him whether the WWE will admit it or not. The Undertaker and Shawn Michaels did a fine job taking the reins in Hulk’s absence. Some might say the two WWE mainstays surpassed Hogan but Hogan returned revitalized and reinvented at WrestleMania XVIII. The most electrifying man in all of entertainment may be at WrestleMania this year but Hogan electrified WrestleMania even after the wrestling boom of the eighties. Sheer drawing power puts Hulk Hogan at the forefront of WrestleMania. I can remember like it was yesterday the “Hogan” chants emanating from the Sky Dome in Toronto at WrestleMania XVIII. The crowd brought life back to Hulkamania and I bet the WWE Universe would do it again in a heart beat for Hogan. There is an old saying in wrestling which is called a “Warrior Pop” that refers to the reaction the Legion of Doom would get from fans. I am sure the “Hogan Pop” is much larger. A match that gets very little credit was Hulk Hogan vs. Mr. McMahon at WrestleMania XIX. The emotion involved between the combatants could be felt on TV and in that arena. 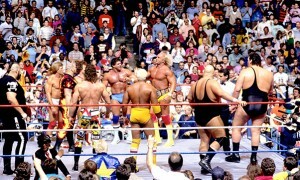 That was the real “war to settle the score” This match proved that Hulk Hogan is at home in the WWE. It was not Hulk Hogan’s early days in the WWF that proved he is Mr.WrestleMania it’s his second wind that cemented his legacy. Hulk Hogan is WrestleMania and hopefully someday we will see him back there to say goodbye. Adam Smerecki is a life long wrestling fan and an accomplished writer and radio host. 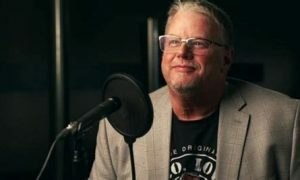 Adam has written for numerous wrestling sites including the Franchise Shane Douglas Official website and hosts Turnbuckle Talk on WUMD in Detroit, MI. Currently you can catch Adam’s wrestling figure reviews on http://tnarevolution.com and of course here at The Camel Clutch!